Group net profit also grew 18% to €92 million, while Ebita was up 5.5% to €306 million. Van Oord said the growth was due mainly to activities in the offshore wind sector. Its offshore wind arm saw revenue increase by 75% from €403 million to a record €706 million. This included carrying out work at the 269MW Deutsche Bucht, 370MW Norther, 714MW East Anglia One and 731.5MW Borssele III/IV projects. Van Oord also acquired a majority of UK offshore wind installation firm MPI Offshore. In a year the company celebrated its 150th anniversary, it saw its order book also grow from €3.39 billion to €3.68 billion, which includes the deal to build the 380MW Fryslân nearshore project and the contract to install cables at the Hollandse Kust Zuid offshore wind site. 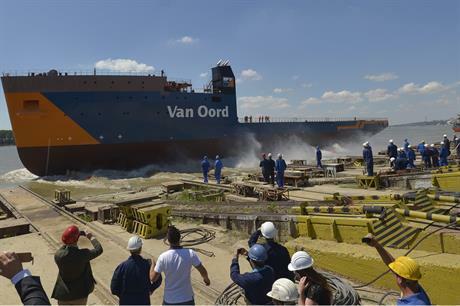 "We saw a recovery in revenue and profit level in 2018, after two years of contraction," said Van Oord CEO Pieter van Oord.